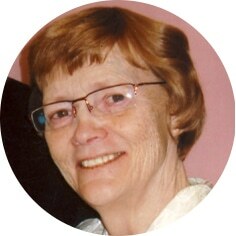 Sharon Lynn Gieni, aged 78 years of Moose Jaw, SK passed away on Friday, January 11th, 2019. She was predeceased by her parents, Glen and Ila Davison. Sharon is survived by her husband, George; brothers and sisters: Dayle Davison (Carol); Don Davison, Gary Davison, Shirley Pattyson, Glenda Church, Kelly Williamson, and Wayne. Sharon was born in Dahinda, SK in March of 1940. She attended school in Rouleau, SK and Notre Dame College at Wilcox, SK. She also attended Reliance School of Commerce in Regina, SK taking accounting/stenography. Sharon worked as an accountant for Achen Construction and Achen (1965) Ltd from 1968-1974, farmed and did volunteer tax preparation. Sharon and George were married on November 15th, 1958. The Funeral Service will be held on Wednesday, January 16th, 2019 at 2:00 p.m. in Moose Jaw Funeral Home with Dave Foley officiating. As an expression of sympathy, donations in Sharon’s name may be made to Trinity United Church, 277 Iroquois St W, Moose Jaw, SK S6H 5A8. Arrangements are entrusted to Moose Jaw Funeral Home, 268 Mulberry Lane. Michelle Surtees Funeral Director 306-693-4550. George, my deepest sympathy. Sharon will be missed.